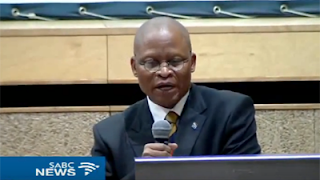 Chief Justice Mogoeng Mogoeng, has pleaded with South Africans to unite in identifying good leaders for the country. He was delivering the annual Bram Fischer Lecture at the Apartheid Museum in Johannesburg. Mogoeng says the country must reflect on the traits of anti-apartheid activists, such as Fischer to take the country forward. Mogoeng has challenged South Africans to think about the impact of racial tensions on future generations. He has called on South Africans to work together and set aside their differences. But it was the love of money and misuse of power that he decried saying it made human life not matter anymore. Outlining the values for which Bram Fisher lived and died for, the Chief Justice did not mince his words in lambasting those who only think for themselves. He questioned where people were taking this country to. Mogoeng says more efforts should be made to share wealth between races. He has lashed out at the racial differences which continue to show up within black and white South Africans. The Chief Justice said South Africa is in a fascinating phase. It has entered a stage which forces all of us to pause and reflect on what it is that matters the most. He says South Africans have a brilliant opportunity to unite as we did before. On land issues, Mogoeng Mogoeng says people have to use their intellectual capacity to workout strategies along land so that they can make progress. He has also questioned the corporate sector for failing to implement equity citing differences on treating workers based on colour and class. He has called for corporate to open to those who were disadvantaged. The Chief Justice has also cautioned against those who go abroad and start speaking ill of South Africa. He says some of the statements made are damaging to the country.